Absolutely delighted that the 2017 New Paths programme has been announced. Under Libby’s Artistic Directorship, New Paths has quickly established itself as one of the most important and exciting new festivals in the land. 2017 sees our trademark combination of world-class concerts and feet-on-the-ground community involvement, reaching out to children, to old people, and to all corners of the town in a series of pop-up performances. 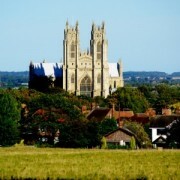 Our bold programming, wonderful venues, and the beautiful town of Beverley, combine to make this an unmissable festival. 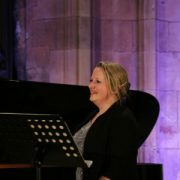 Take a look at www.newpathsmusic.com for further details. 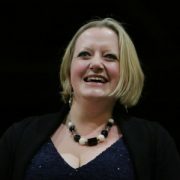 Libby’s latest disc with oboist James Turnbull has been released and is available for purchase here. 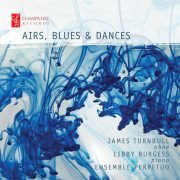 ‘Airs, Blues & Dances’ includes works by Michael Tippett, Judith Weir, John Tavener and Richard Rodney Bennett. Both discs are released on Champs Hill Records. 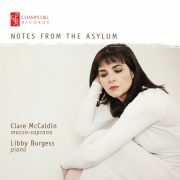 ‘Notes from the Asylum’, with mezzo-soprano Clare McCaldin, is released on Champs Hill Records today. It features songs by Purcell, Abrams, Brahms, Wolf and Rorem, chosen to complement the central themes in Stephen McNeff’s Vivienne, premiered by Clare and Libby in 2013 and recorded here for the first time. The disc is available on Amazon and the Champs Hill Records website. Read more about ‘Notes from the Asylum’ here. First New Paths festival a roaring success! April 2016 saw the first New Paths festival taking place – a feast of performances by some of the country’s finest young musicians at venues across Beverley. The festival, of which Libby is Artistic Director, immediately established itself as a major new event in the region. https://www.libbyburgess.com/wp-content/uploads/sites/17/2016/05/image-4.jpeg 300 300 libby2 https://www.libbyburgess.com/wp-content/uploads/sites/17/2015/06/logo.png libby22016-04-13 20:41:352016-05-25 20:46:14First New Paths festival a roaring success! 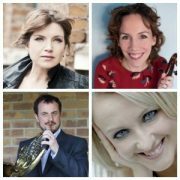 Extremely excited to announce the launch of New Paths Music, a new festival of song and chamber music taking place in Beverley, Yorkshire, in April 2016. Have a look at our website, follow us on Twitter, like us on Facebook, put our dates in your diaries, and get ready to buy your tickets when they go on sale in January! 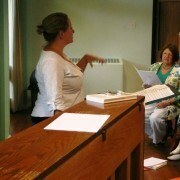 Thrilled to announce two brand new one-day courses, in November and January, for professional and training singers. 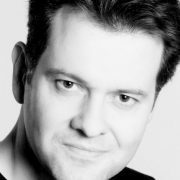 Led alongside director Joe Austin, the workshops will focus on the development of character in arias, and how this plays out in musical and dramatic terms. 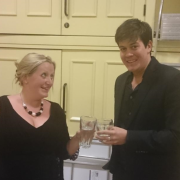 Joe and Libby have worked together as Director and Musical Director for five years, on productions ranging from Britten’s The Prodigal Son and Mendelssohn’s The Homecoming for Ryedale Festival Opera to new work by Stephen McNeff at Tête à Tête Festival and the Linbury Studio. They regularly coach together and have run a residential course focussing on similar work. Details are available at Workshop Opera; do spread the word, and apply! Back from an inspiring summer playing for various summer festivals – such a rich and important part of the British musical calendar. 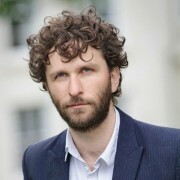 From the rural and picturesque Etchingham Festival – playing Brahms, Bridge and Schumann piano quartets with the Wieck Ensemble – to the heart of the City of London with St Lawrence Jewry Summer Music Festival – piano duets of Mozart, Schubert and Beethoven with Sholto Kynoch; from the long-established Dartington – Mozart, Berkeley and Poulenc music for winds and piano with the Berkeley Ensemble – to the new kid on the block, Southwell Music Festival, featuring a Schubertiade with Alison Rose, Nick Pritchard, and festival director Marcus Farnsworth, and then, perhaps the summer’s highlight, the Rite of Spring in its duet form with James Baillieu (lots of feedback, live commenting and photos available on their Twitter page, @Southwell_Music). Festivals are such a key chance for musicians to gather in different places, be inspired by their surroundings, their colleagues, and above all, the music. Thank you to those who make them happen! Happy to be guest conducting the Petros Singers next term for their autumn rehearsal season and their Christmas Concert. Having previously undertaken similar projects with the Renaissance Singers and the Nonsuch Singers, it proves to be a rewarding way of working with new choirs! Full programme details to be announced in due course.